This entry was posted in Monday Meeting and tagged Fr. 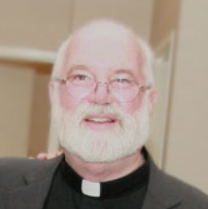 Greg Boyle, gangs, Homeboy Industries, inspirational, Jesuits, musings, service. Bookmark the permalink. Hopefully you get to meet him someday! I’m sure you two would find you are kindred spirits. As far as that book goes, everyone definitely thought I was crazy. Not many people laugh and cry simultaneously. Father Greg sounds beautiful, and I have a feeling that the two of you will meet before long. As for the new Pope, Theresa, I am troubled that you seem unaware of his strict rejection of Liberation Theology, which originated in Argentina, and of his documented support of the military junta responsible for years and years of horrific atrocities. Please don;t take this as a personal criticism. It’s not. I have every faith in your goodness and I trust in it. I was finally able to catch up w some of my favorite people on the Web, so I left them for your return – but wasn’t trying to keep you on your toes (well, at least until you were not on vacation :). Chuckle, chuckle…..
How sad to hear that Fr. Greg has been diagnosed with leukemia. I haven’t read the book but I had the same reaction as Alex to Fr. G’s TED talk; simultaneous laughter and tears. Just wonderful! Sarah – thank you for following the link. Fr. Greg is a special man, indeed.